This is what I have come up with as a starting point. I hope you like it. Whole wheat flour is organic, White flour is unbleached, honey is local & raw, sugar is organic, eggs are homegrown, produce used is homegrown or locally grown whenever possible, even the butter used comes from locally sourced milk. I try to use as many local or homegrown items as I can and use as much organic as I can. Flour tortillas are made with lard, can be made vegetarian upon request. Pick-up is available with advance notice. Can be arranged for Pomona or Altadena locations. If this goes well I hope to add even more goodies, like muffins, pies, cookies and simple cakes. Is there anything you’d like to see offered? Leave me a message. For some reason one our broody Serama momma’s decided to leave the nest yesterday, a day of serious storms, complete with thunder, lightening, hail and the volume of rain fall that floods the ground in a matter of minutes. The kind of rain that manages to thwart all our attempts at being prepared. The less than enjoyable kind of downpour, one that feels more like participating in the ice water bucket challenge, remember that craze? So momma ventured off the nest, it looks like she took the first hatched babe with her as it was stronger, leaving behind a just hatched baby and a yet to pip egg in the nest. Those that know chickens and hatching know that this is not a good momma move She should have stayed put for all of Monday and Tuesday before finally venturing out. She had food within easy reach and had no necessity to vacate so early. When I was out for my after work rounds, filling the feed troughs and collecting eggs, I first thought momma was out with her 2 babies as I only spotted the remaining 3rd egg in an otherwise empty nest. The rain was falling again, big drops that steadily picked up beat. 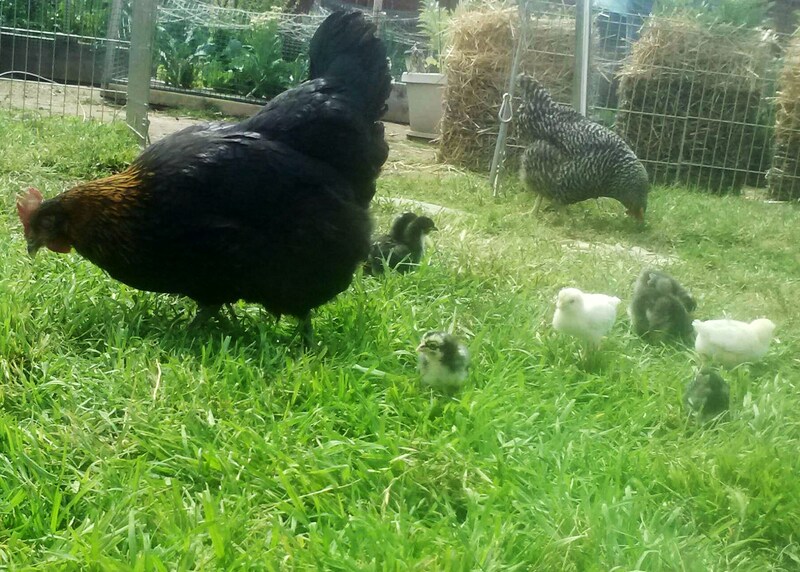 I located my broody, she was in the mix with all the birds, large and small, clucking away like a happy momma. The only problem, there wasn’t a chick in sight or a baby chirp to be heard. This is when I call in reinforcements, I holler for Midge to join me in the search, and to please bring me a jacket since the rain was starting to really come down and all I had was a long sleeve shirt on (well it wasn’t raining when we got home!). I turned my attention back to the nesting boxes and immediately discovered the cold and lifeless body of a tiny chick. Thinking it was already a loss, I placed it aside so Midge and I could continue to search for the other baby when it suddenly twitched! I began hollering, “it twitched, it twitched! It’s still ALIVE!” as I’m scooping it up and rubbing it, trying to warm and stimulate it. With each second the chick showed the tiniest bit more of life. Eeking out a bit more hope with each faint movement. Now the rain was REALLY coming down, the thunder and lightening were beginning to add to the beat of the rain. So I tucked the baby into my bra and make a mad dash for the house. Leaving Midge out in elements to continue the search for the second chick. Once inside the Hubs warmed a cloth for me to wrap the babe in. As I stood there holding this itty bitty baby, wrapped in a warm washcloth all in a bundle that fits in the palm of my hand, this miracle started to wriggle a little more and then even more, then the most beautiful thing happened, it chirped, the faintest of sounds, but it was definitely a chirp! The most beautiful sound I have ever heard. A sure sign this baby was coming back to life! Once it starts to chirp and move with a decent amount of strength and fight, I placed it in the incubator (don’t ask) to continue to warm. All the while, poor Midge was still out in the pouring rain, with the lightening thundering closer and closer. Trying in vain to find the remaining chick. I started out calling her back into the safety of the warm, dry house but instead I ended up rejoining her in the search. There aren’t too many places to look in our chicken yard, they don’t free-range and there are no hiding spots for them to really get into so the search was really just the two of us, soaked, cold and saddened by the realization that we had lost our sweet little butter baby (that’s what we call the little yellow chicks when they are nothing but fluff). I called the search off and dragged us both away. As much as I prefer to have a broody hatch and raise chicks, as nature intended, this is the risk that is involved. Not all momma’s make the best choices for their babies. 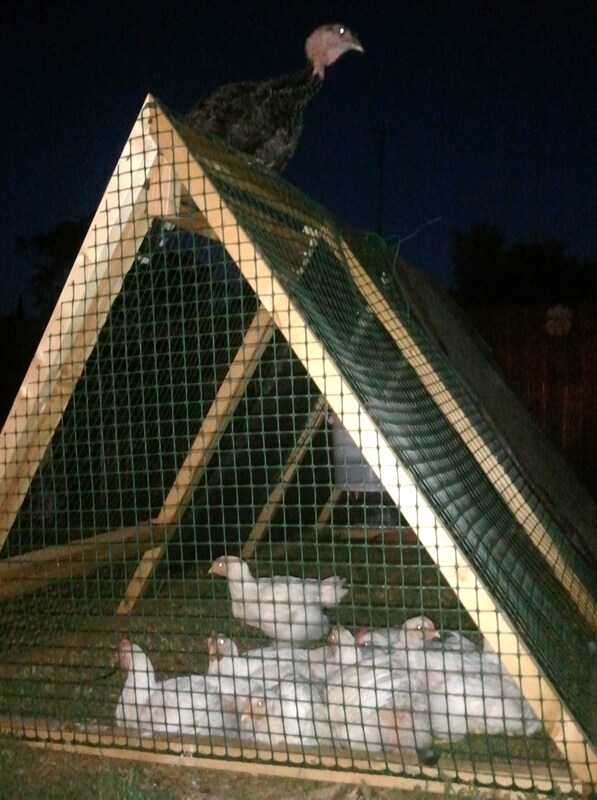 I also know I need to make some changes to our set up in order to keep chicks safe. 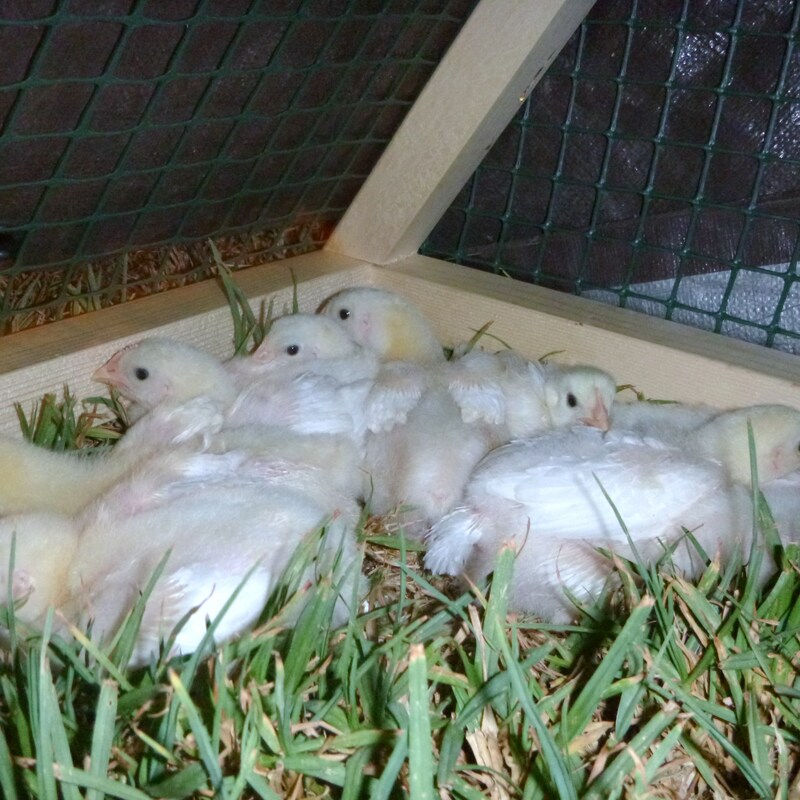 Seramas are the smallest chickens and I have them mixed with my large fowl birds, in the may lay of the storm with all the birds seeking shelter, a chick as small as day old serama chicks are could have easily been trampled and the thought of that is just horrible. Something I don’t soon want to have to relive. So changes there will be. In the meantime, we do have an incredible to celebrate. As in, it’s a wonder this chick is alive today. I did something so far out of my comfort zone – Public Speaking! Last year a cousin got me connected with the Ag Dept. of a local junior college for selling my fertile eggs to teachers and homeschooling parents to be able to participate in hatching for their annual Spring Fair. Then, in December I was approached by Patty from the college, she asked if I would be interested in helping with a Hatching Workshop. Of course my first response was to laugh incredulously. No way am I getting in front of a group of strangers to teach them! But then I thought a bit, reached out to my good friend, Carrie (who happens to be as chicken crazy as me, my enabler), and Midge to ask if the two of them would be interested in going with me. The promise I used to hook them both was that I would OF COURSE do the majority of the speaking. Both were game. SO okay, we’re in, let’s do this! February 6, 2016 arrived much faster than I thought it would when I agreed to be the hatching “expert”. Oh my goodness the three of us were nervous. I did not prepare a written talk, I much prefer to just go with the flow. I have hatched enough to have a good base of know-how but I am far, FAR from an expert status. That said, I am so pleased with how the workshop went. As promised I ran my mouth did the majority of the talking. Carrie piped up when I would miss a detail now and again. She also handled the candling demonstration, since she is a bit fanatical about candling. Midge, well, I put her in charge of the camera on my iphone. Much to my chagrin, she actually recorded a few minutes here and there. Here is a highlight reel. As nervous as I was, I had a wonderful time and we received terrific feedback. So much so, that I am game for hosting next year’s workshop and have even offered the use of our home so folks can see a backyard set up, and have better visual aids with my birds on site. I have been silent on the blog front for a year now. Things happened in 2015, things that are worth mentioning. I just needed to take some time to myself to work out a balance in my life. The biggest thing that happened was the loss of two of the kindest, most gentle souls I have had the pleasure of calling family. We said goodbye to great men, my stepdad Ki, and our Grandpa B. Both were major blows to the family and both are so deeply missed. That’s about all I am going to say on the subject as I can’t see to type through the tears that still well up when I think of these two wonderful men and how very much they meant to me. Another big thing that happened – I finally got my Handsome Husband to the doctor for a top to toe check up. There it was discovered that he needed to make a 180 degree change. It was frightening to hear that he had some serious threats to his health and I can now safely say that he jumped head first into the necessary changes and did indeed pull a complete 180. He is now the picture of health and balance. The choices he has made since seeing his doctor have led to many ripples in his pond, ripples that reach far into the ponds of our daughter, our friends, family and even my own pond. There is a new invigoration that has become infectious. In all the years I have been at his side, the current one is turning out to be the greatest thus far, releasing a new hope, and energy in all that we do and dream about doing. Those three are really the big life changers that happened in the past year. Of course there have been the usual life curve balls, but every year offers those kinds of hurdles. Ones that only seem insurmountable when you’re staring them in the eye, but once over them you look back and realize it was nothing more than a rock to which we have move aside, gone around or merely stepped over. The good that has come from the past year makes the lesser trials easier to shrug off. Good things, like learning to make cheese and butter and kefir. The fun things, like an impromptu family weekend road trip full of spontaneity and surprises. Weekends away with great friends, discovering new places, finding beauty in the surprising places and creating lasting memories. Accomplishing things, like conquering that pressure canner, building a fabulous canning cupboard and filling that cupboard up. Strength building things, like finally flying alone for the first time (me), which then led to the best week spent with my mom driving from northern Washington State back to So Cal. and finally meeting my farm crush, Rachael of THE FARMSTEAD, after 3 years of online stalking friendship. These are the things that make the bumps, hills and mountains that we come across worth the struggle. These are the ONLY things that matter. 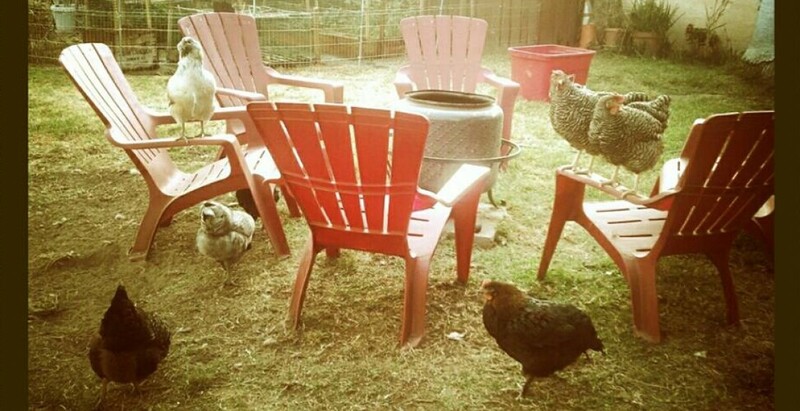 The catalyst to our journey for a more self-sufficient life was the summer of 2013, when The Kid asked if we could keep a few chickens. At that point I had already found a passion and peace in growing fruits and vegetables. 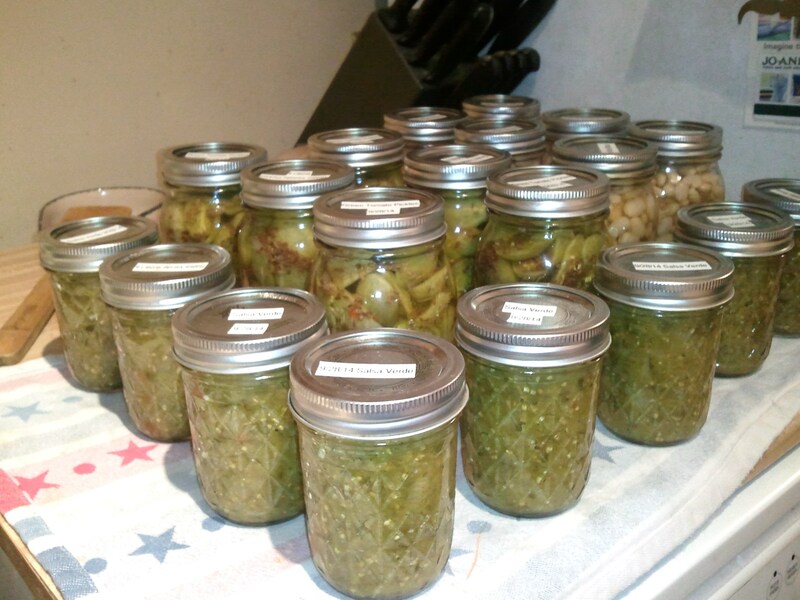 I had dabbled in canning but that was as far as we had gone, until we discovered the joys of chicken keeping. 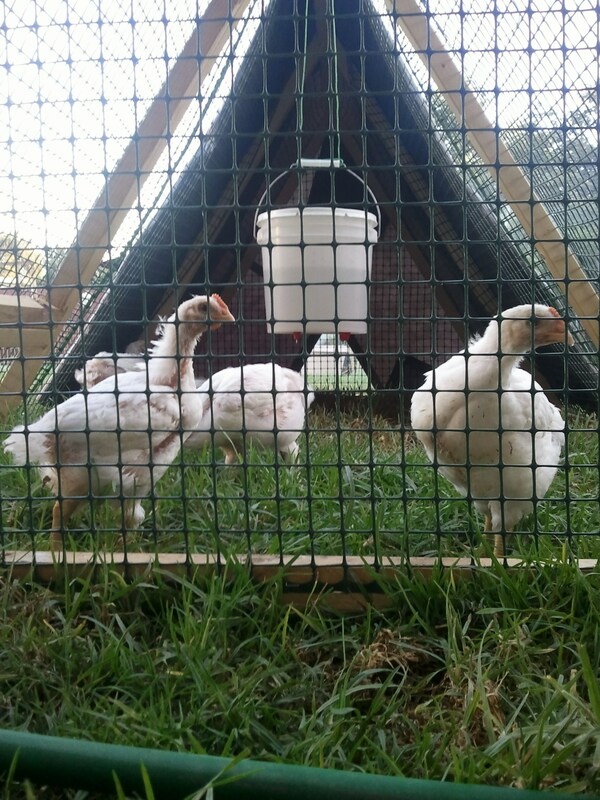 It seemed, in unison, the idea of homesteading and sustainable living went off like a light bulb for the 3 of us. We looked at our small flock of laying birds and liked the idea of building a flock that could sustain themselves as well as us. 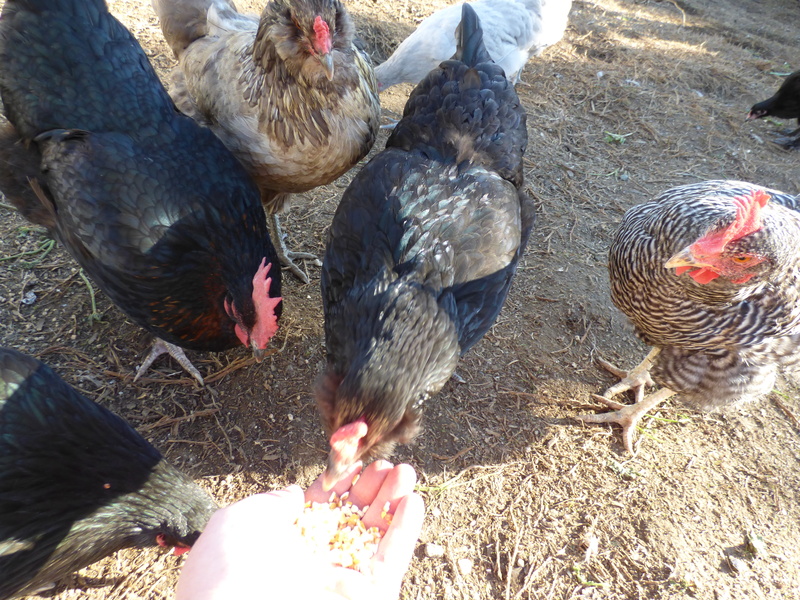 Have enough eggs to sell weekly to earn the money needed to buy the feed and supplies, hatch a few to sell and replenish the flock as needed and eat those that needed culling for whatever various reasons. So excited that we were, we talked a great deal, to anyone who would listen, about our grand dreams of one day having land and building a self-sufficient homestead. There were a few who got it, understood the need for such a lifestyle, more who mostly were silent, likely due to the need to stifle the laughter we had invoked with our silly talk, remember, we live in So. 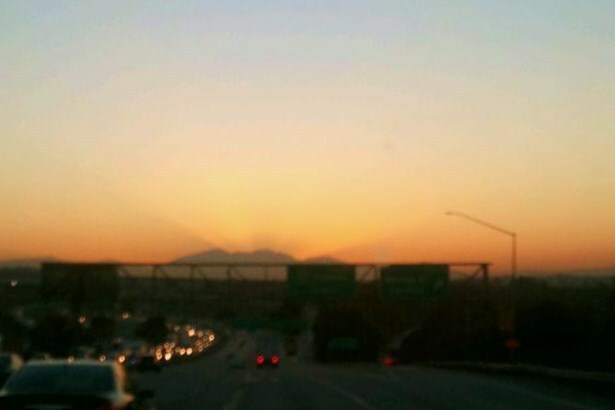 California, surrounded by instant gratification and everything within easy reach. More often than not, the response we have come across has been one of head shaking incredulity. It seems as though we speak a foreign language when we talk about baking our own breads, growing and canning produce and the desire to raise the meat we choose to feed our family. The meat raising has been the topic of some conversations that have left all parties involved shaking their heads at the concepts coming out of the other. There is one particular conversation that sticks out in my mind. In the early part of 2014 we had with a couple of our dearest friends over for dinner. These two exude a boundless compassion for animals and their welfare far beyond the average person. The great lengths they have gone to at times to rescue and care for an animal in need could easily be described as Saint like. Out spoken and determined, these two will go to bat for an animal without a moments hesitation. So imagine how the subject of harvesting animals we hand raised went down. Keep in mind, we are all omnivores in this conversation, not vegans or even vegetarian. Travis and I tried and tried with our words to get the two of them to see things the way we see them. We talked about the horrible lives lived by the animals who’s meat we purchase from the grocery stores. Without sounding exasperated we continued to attempt to drive home the concept that animals raised by our hand, for our table would be raised with love, compassion and respect. These animals would have a good life, with only one bad day. As opposed to the factory animals who’s only peace comes with their death. In return we were informed these two animal lovers would rather turn a blind eye to the deplorable existence their market meat animals had suffered from start to finish. They would continue to eat that meat and simply put the thought out of their mind that everything they stood against they were willing to ignore for the sake of meat on the menu. After much debate we all agreed to disagree and leave it at that. Fast forward to Easter, the same two friends, along with my brother and Cousin N gathered at our home for dinner, as we do every Easter. 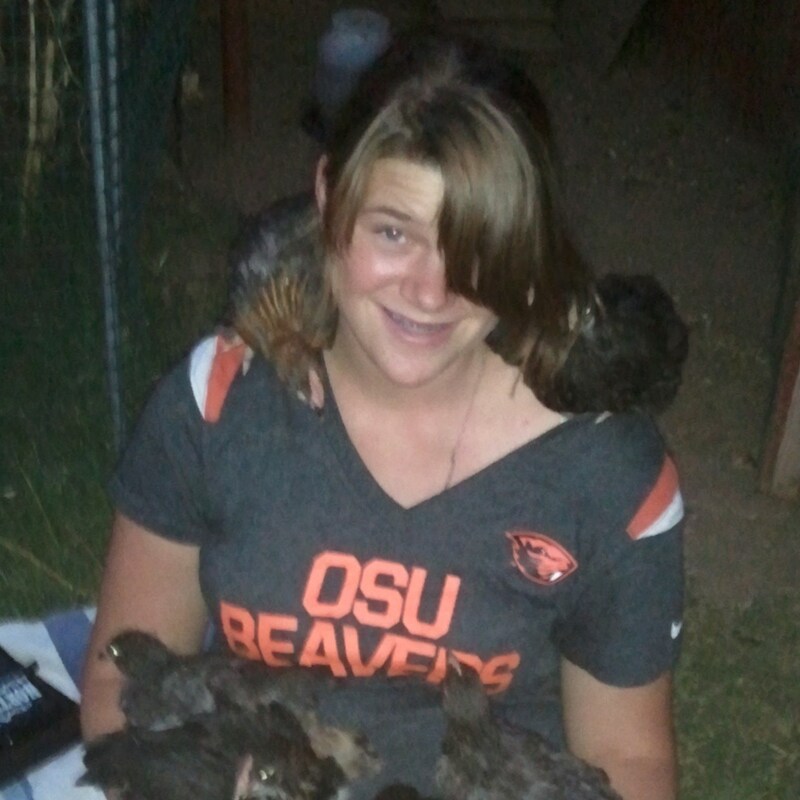 This year we had the added excitement of chicks hatching. This was a first for our guests and the air was filled with wonder and merriment, like Christmas morning with young children. 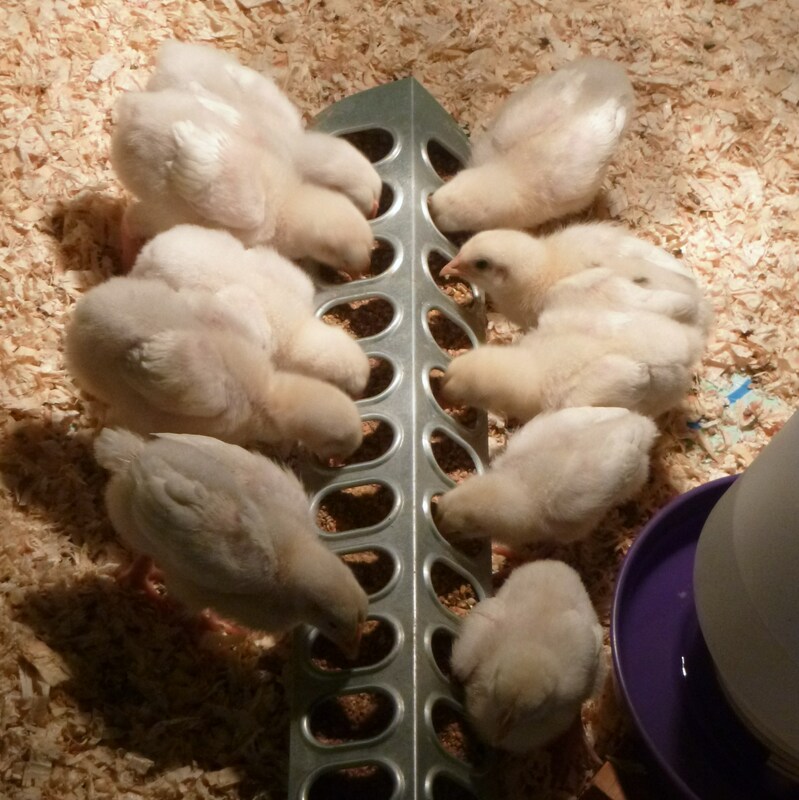 We had chicks popping up under a first time broody and an incubator full in the house. No one was immune to all the fluffy new life. We all took turns peeking in on the goings on, counting the tiny balls of fluff. As with any birth, not all goes according to the well laid plan. 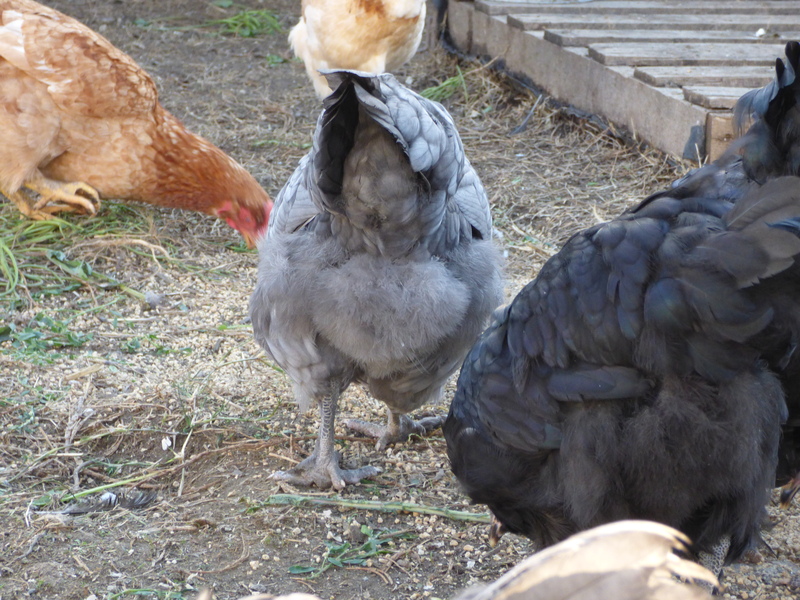 It was soon discovered there was a chick with the broody who was in bad shape. I chose to intervene, carefully removing the chick to a tea cup in the incubator and held my breathe as I checked in on it periodically. It didn’t take long for me to understand this chick was not going to survive. I had two choices, I could either leave it to die on it’s own or I could end it’s suffering quickly. Normally I would just make the call and get it done. But it was Easter and I was surrounded by people who I felt would not understand my need to handle the situation as I saw fit. After much internal debate I finally came to the conclusion that I couldn’t just stand by and watch this little creature die a slow, agonizing death. Watching it struggling to live was more than my heart could bare. I talked to Trav, he understood and would do whatever I needed to do. Before I could do anything, I had to have the hard talk with one of the friends. She had to know what I needed to do. It was important to me that she understand why I was about to end the short life of this tiny soul. She told me she could tell by the expression on my face that this choice had not been arrived at with ease. She understood I was doing right by the chick and gave me the go ahead. Once I had dealt with that heavy task I took a moment for myself, away from the group, to gather myself and shake off the loss. Our friend found me, saw the tears in my eyes and pulled me into her embrace. I briefly wept over this loss, I could still feel the slight weight of the chick in my hands as the life left its tiny body. In this moment between friends, on opposite sides of the line something happened, this friend started to grasp what was in my heart. What I had talked myself blue in the face to explain just a couple months prior. In this one moment her heart could clearly see what was in my heart. This one bit of action had explained what all the words could not. That evening, on their way home, the two talked about the events of the day. When the topic turned to the chick who had been struggling, it was only then that the other friend learned what had transpired while she played dominoes with the girls. The next day I received a text from her. She told me she had heard what I had had to do and that she understood it took great courage and strength. She told me she was proud of me and that I had done what she never would have been able too. I cannot tell you the enormity of the emotions that swelled in me when I read those words. I felt like she too, though not an actual witness, was able to finally get a glimpse at my true heart. No words came from my mouth, just tears from my eyes. Tears for relief, tears for joy, tears for success. It is an incredible realization to discover that the life we have chosen to live can have, and is having, a profound effect on those around us. That summer, when we cast our stone into the pond of self reliant living, we never imagined how far the ripples would go and who or what they would reach. We never set out with the intention of changing anyone but ourselves. I am overwhelmed with a profound mix of emotions. As intense as my feelings for why I choose to live as I do. In seeing the change affected in others by our choices it boomerangs right back to me, filling me with immense determination and pride. We have reached this one person. I understand and accept that we won’t ever reach every person, but at least I know we can reach some or maybe even just this one. But it’s one more than there was yesterday and we had a hand in that change. After months of weekly trials I am finally ready to share that I have successfully baked a loaf of sourdough bread! I’m not sure if sourdough has been or currently is an elusive creature for other bakers, but I for one, have been in pursuit of the perfect loaf for far too long. Let me take you back a bit. Years really, back to the original Martha Stewart Shows, to a particular episode when Ms. Stewart toured a bakery that created famous sourdough made with yeast from red cabbage leaves. 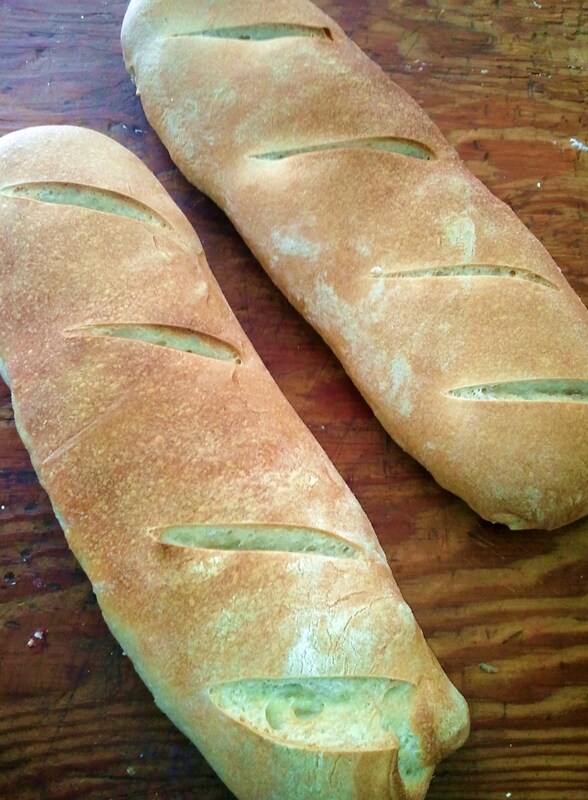 This episode has replayed in my mind for all these years, though I never attempted to recreate this bread. That was, until this year. You all know I strive to bake all our bread products. I have had great successes but have also baked up many a brick, most of which have been in an attempt to create the much coveted sourdough. My first attempt at a starter was using packaged yeast. It never really amounted to much, and suffered a sentence of a forgotten life in a jar in the back of the refrigerator. I eventually came back to that ridiculous idea of sourdough made from red cabbage leaves. 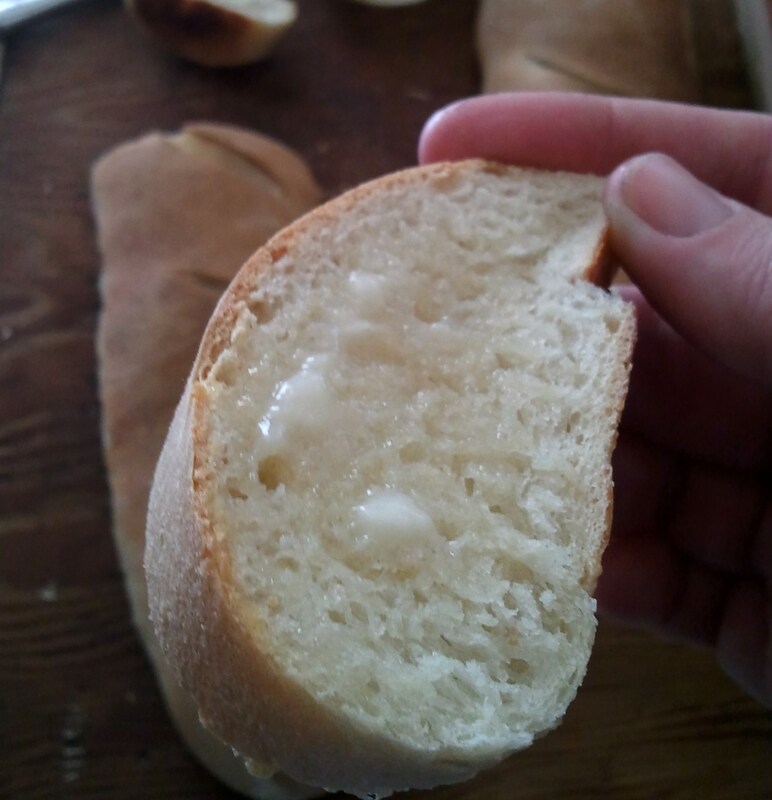 After a quick internet search I found Two Sisters Bakery Recipes Blog and this article about their sourdough starter. Even with the guidance of Two Sisters, I still struggled. 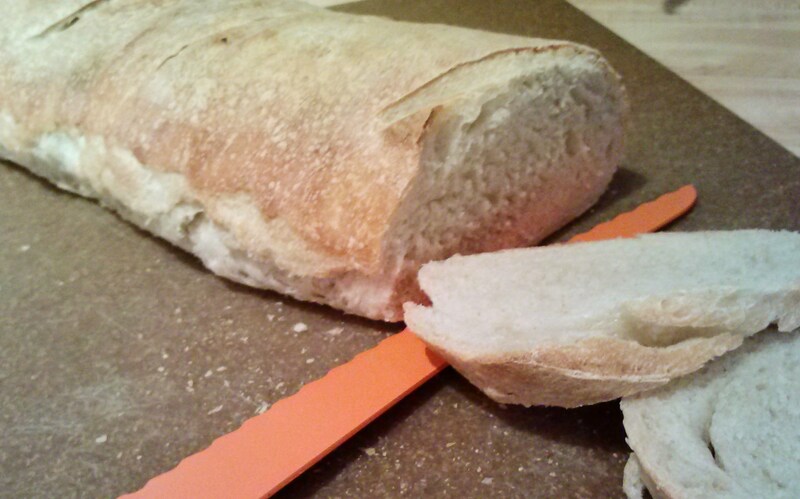 Seems I could have a nice, airy loaf OR a great sour flavor but never both in the same loaf of bread. UGH! 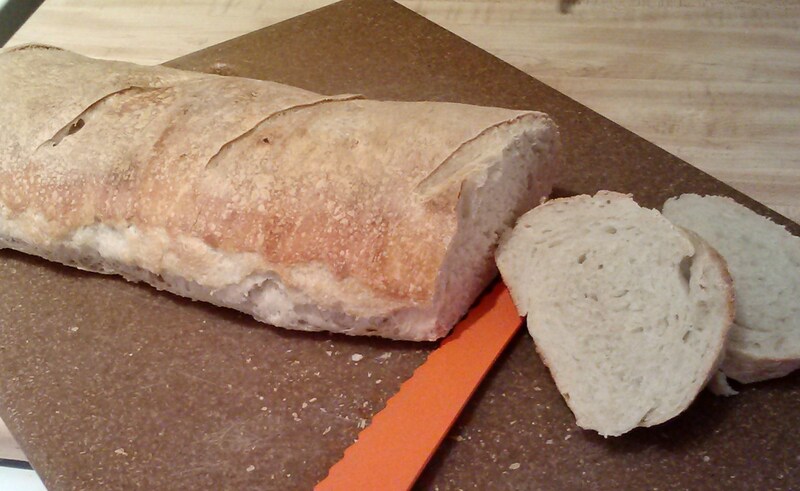 I nearly threw in the towel, convinced fresh-baked sourdough bread was just going to be “one of those things”. 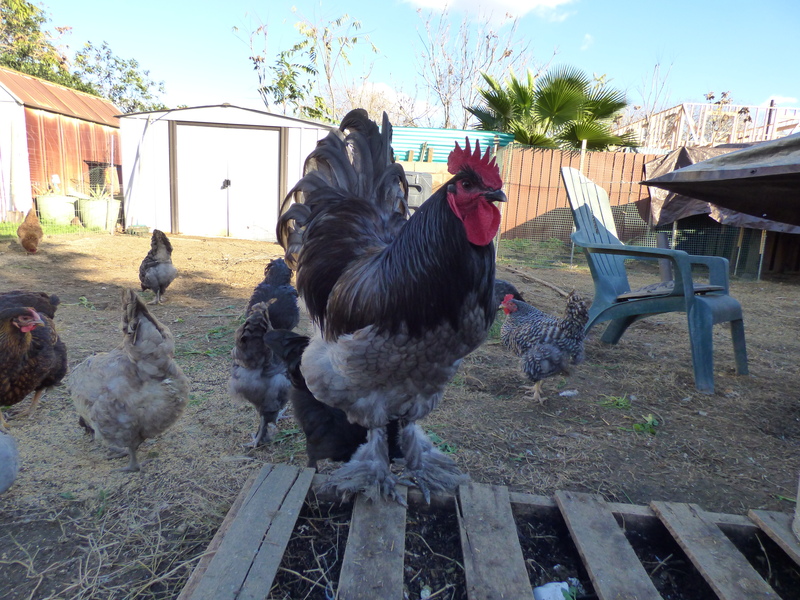 Before I was to fully resign myself to this failure I decided to give it another go, this time I would practice the often recurring skill required in homesteading – P.A.T.I.E.N.C.E. I mean, I have admitted to the knowledge that this is a key homestead skill, as shared in my Slow Down post. I reread the steps I have written down and hanging next to my work space in the kitchen. Opted to let this go ’round rest in the fridge over night and see what would come of it. Well…. This is what came out of the oven! The most perfect loaf of sourdough bread I have ever baked! The crust has just enough crunch, not so much as to be reminiscent of a crouton. The interior is chewy, moist and airy. Oh and the flavor, that delicious tang from a patiently (there’s that word again) soured starter. The ultimate pay off for my persistence, every week pulling the starter from the fridge, feeding it, letting it set 8-10 hours to activate, measuring, mixing, kneading, rising and baking. This may seem a silly celebration, but it is mine to celebrate, and celebrate I shall, with another gratifying slice of my homemade, from scratch, with my organically grown red cabbage, sourdough bread! Tell me, what homestead skills have been more trial than success for you? What was that elusive “thing” that you nearly gave up on? 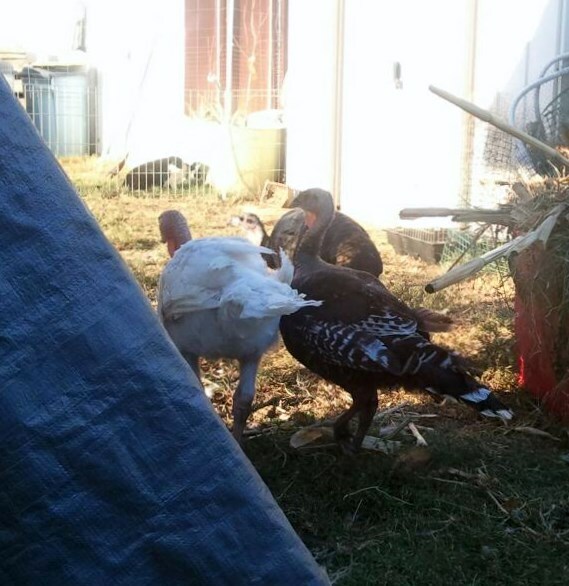 Last week I started to write a post about the 10 things I Learned from raising meat birds that was more about the specifics on what it takes to raise them and just never made it to completion. That happens from time to time when I am writing. I think I have an inspired post, then, somewhere along the way the message gets lost, or the enthusiasm wanes. Whatever the case was this time, I just don’t see that post making the cut. 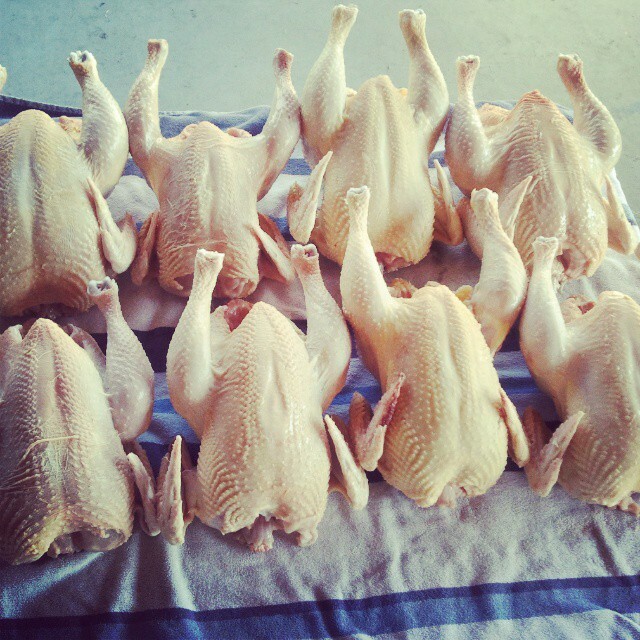 I do want to tell you a bit about this, our first experience raising and processing meat birds. However, I do not plan to give you a blow-by-blow how-to. There are plenty of videos and blog posts already dedicated to that information. I, instead, would like to share some discoveries, both self and production based, that were made along the 10 week journey. 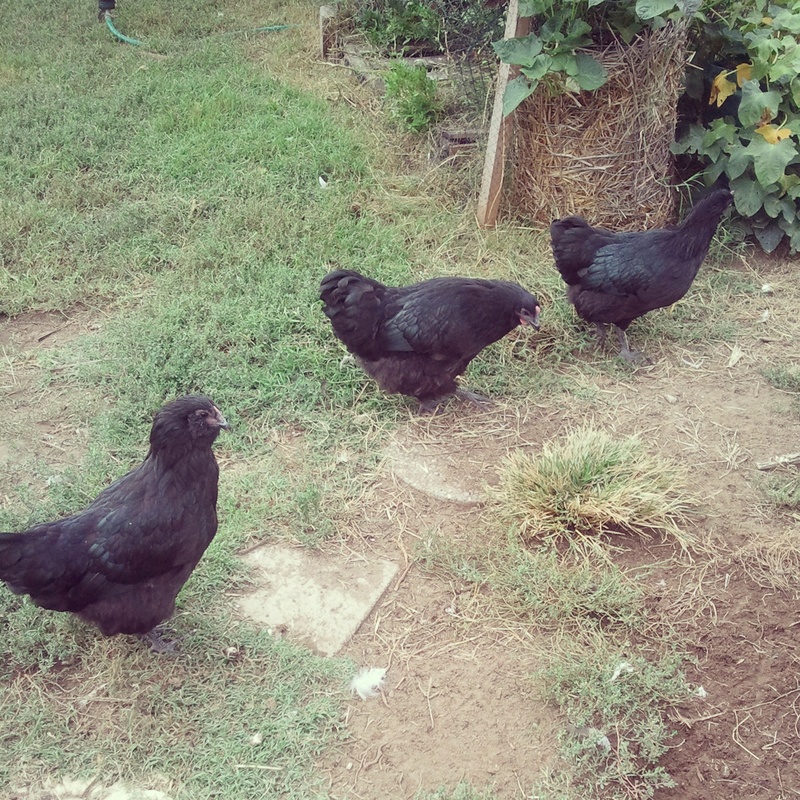 So here goes, What I learned from raising meat birds. 1 – Cornish Cross are an incredible bird. Fast growing and docile. Completely misunderstood. Yes, they are eating, drinking and pooping machines, but that is not their fault. These birds are programmed to be fast growing, food inhaling, water guzzling little tanks. Sure they seemed to be constantly starving, but they were in no way lazy. We housed our 8 in an 8ft x 4ft tractor that we moved daily to fresh patches of grass. Once on a new patch, every one of these little high-production machines eagerly ran about hunting bugs, gobbling up the green grass and discovering the perfect dust bath location. 2 – The fast growth rate of this hybrid (not to be confused with GMO) broiler gives a family the promise of healthy, humanely raised meat in as little as 2 months, from start to finish. Chicken may not be the most cost-effective meat to produce, but hatch to freezer in 8 weeks means a family can have meat on the table through the months, and years, it takes to raise the larger meat animals. 3 – In regards to the how to raise meat birds, I have discovered the tractor raising is geared for much larger, acreage, homesteads. In our little yard, it made more work and mess. We all agree, we want to raise more meat birds, in the spring, but would prefer to integrate the chicks into our laying flock to allow them the freedom to forage and be part of the “whole” for the extent of their lives. This set up would allow all our birds, both the layer’s and the meat birds more space and a cleaner environment. 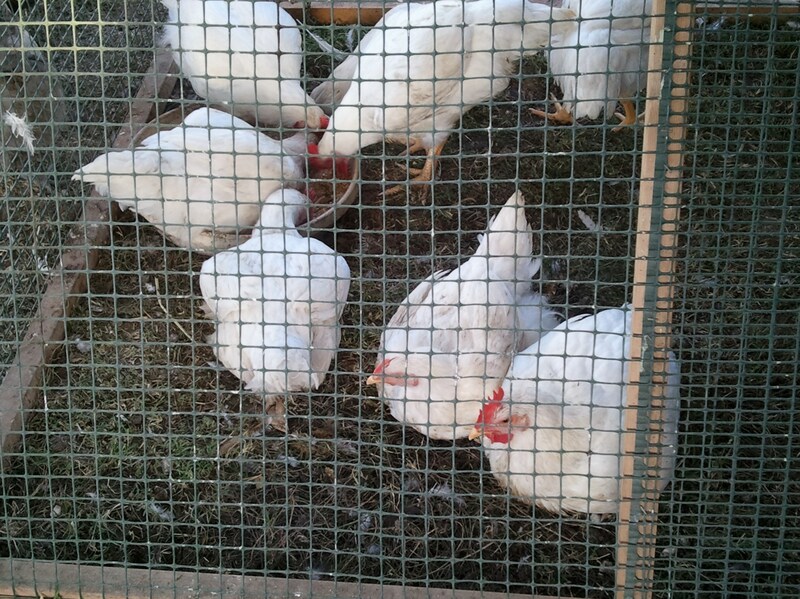 I say meat birds since we are toying with the idea of doing a mix next time of the Cornish cross and Freedom rangers. Raising a combination will allow us to compare the two varieties side by side to become better informed of the pros & cons of both. 4 – Teamwork is key. From teaming up, co-op style with folks who understand and appreciate what it takes to raise meat, from the cost to the time, labor and emotional commitment to the combined effort of hands, helping with the daily feeding, watering and general care to eventually sharing the burden of the final days labor, both emotionally and physically, having a team in place is crucial when raising your own meat. While we housed and cared for the birds, another individual supplied all the feed. Once completed, the birds were split 50/50. The Hubs, Midge and I shared the burden of the daily care, which for Cornish Cross was a daily, and often times twice daily, especially in the tractor. 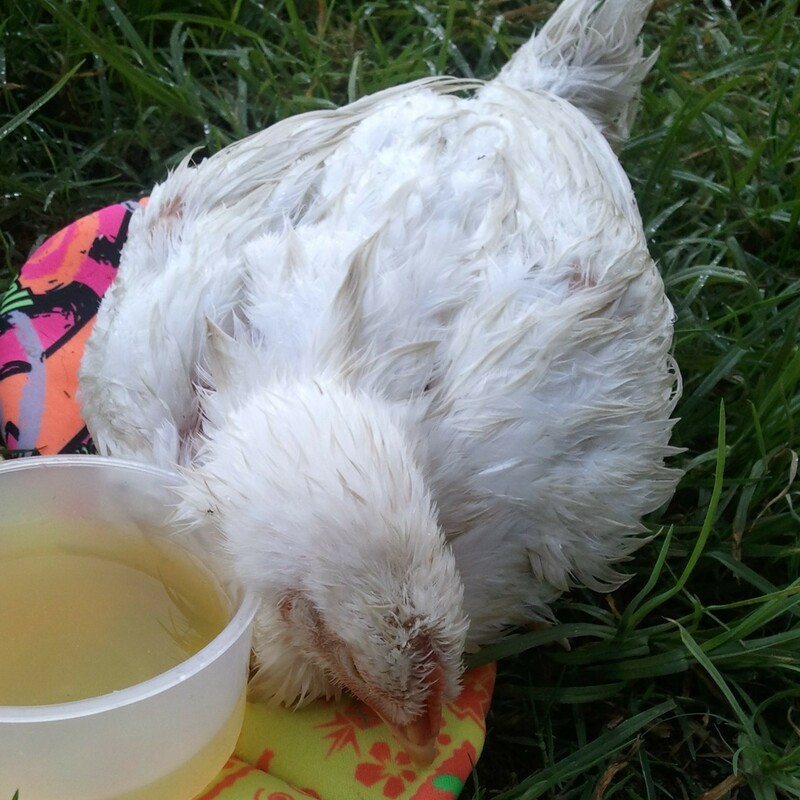 The water was refilled often, the feed was poured twice a day, the tractor took two sets of hands to relocate and during that last intense heat wave, all three of us were required to bring a pullet back from the brink of death from heat stroke. Processing day was a whole other entity. 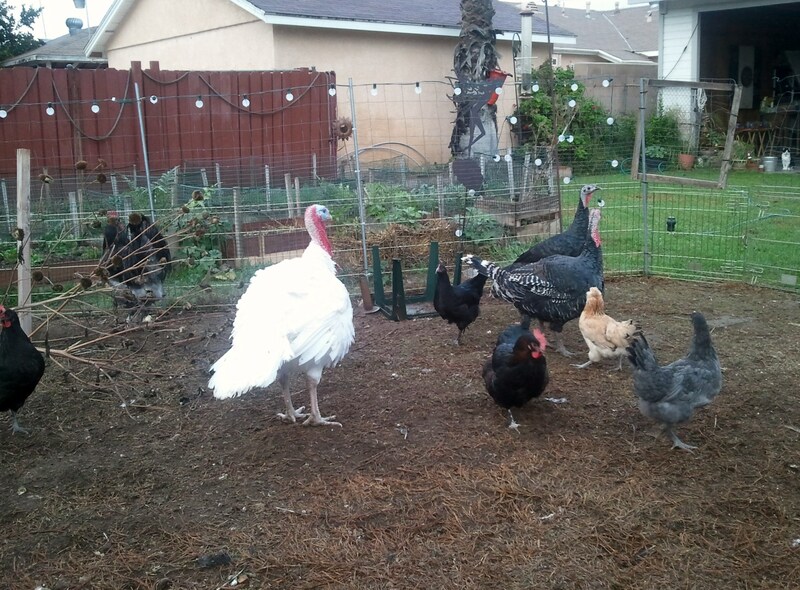 Having not ever processed a bird for eating, we were all more than a bit apprehensive. Of course the toughest pill to swallow was the taking of a life. Not EVER to be taken lightly and ALWAYS to be given the utmost respect and gratitude, this step must be swift and humane. This is where a newly kindled friendship, discovered via my Cluck & Hoe Facebook page, came in to play. Never had we met in person, as we do not live within an easy drive, and yet when that first conversation was had via a phone call, It felt oddly like I was speaking to a person whom I had held a decades long friendship. She, we’ll call her Kay, volunteered, no, insisted, that she would make the 2 hour drive in to help us on the final day. With her, Kay brought a wealth of knowledge, experience, compassion, patience, generosity and community. Having her there, guiding us through each step of the process helped make the weight of the day, just a little lighter. Guided by her patience and encouragement, I found my hand growing steadier, my heart filling with appreciativeness and a confidence in the acknowledgement that I can, and will, live this life I daydream of so often. 5 – Midge. This girl of ours. Just the thought of her and her strength, courage and compassion overwhelms me with pride, respect, and honor. I had mentioned early on the importance in all of us having a hand in every step of the process. This was talked about, but not pressed. Once we began Kay and I turned to Midge and asked her to take part in step one, at least once. Although hesitant, this girl young woman stepped up and bravely, graciously and gently did what was to be done. Like a right of passage, as her tears rolled, mine began. Dad had paused in all his tasks long enough to bear witness to this moment. It was a bittersweet experience, a palpable moment in time when a bit more of her childhood innocence was replaced with a hardened piece of the reality we talk of on a daily basis. As a whole, our family believes in the importance of reconnecting with our food. With that belief comes the responsibility to raise the animal, from start to finish, in the utmost humane, compassionate and respectful manner. To watch Midge walk the walk and still stand tall, knowing however hard it may be to take the life of an animal raised for meat, it is the path we should all be on. To be witness to the greatness which is my daughter is, and will forever be, my greatest source of joy and gratitude. 6 – I can do this, I can grow our food with compassion, humility, respect and a grateful heart. I can show these animals that are destined to be a source of sustenance for me and my family the same love and respect all beings deserve. I can hold my head high knowing the food we raised was done so in a humane manner. I can take pride in knowing the life these birds, and any other animal I raise, is a quality life, not taken for granted. A life not thought less of, but rather, more, knowing the immense role they will have on the lives of those they will provide for. 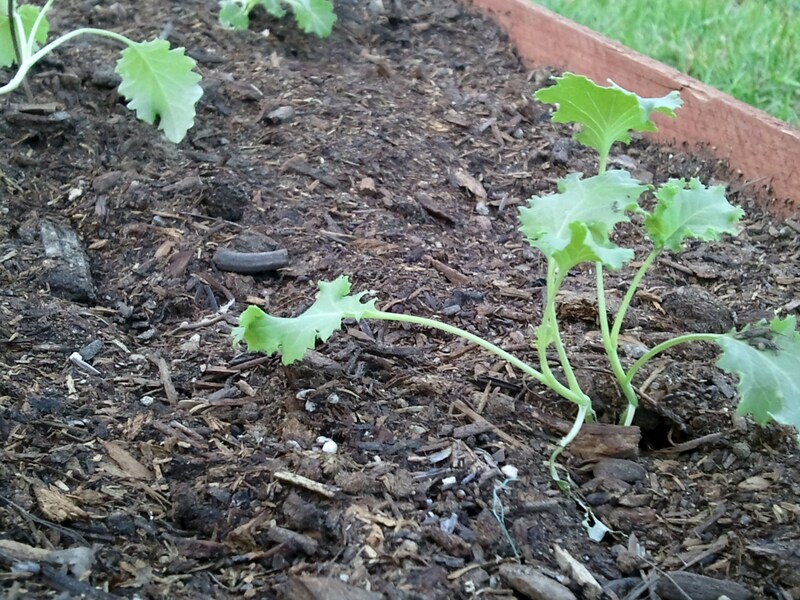 I can grow what I eat and eat what I grow. 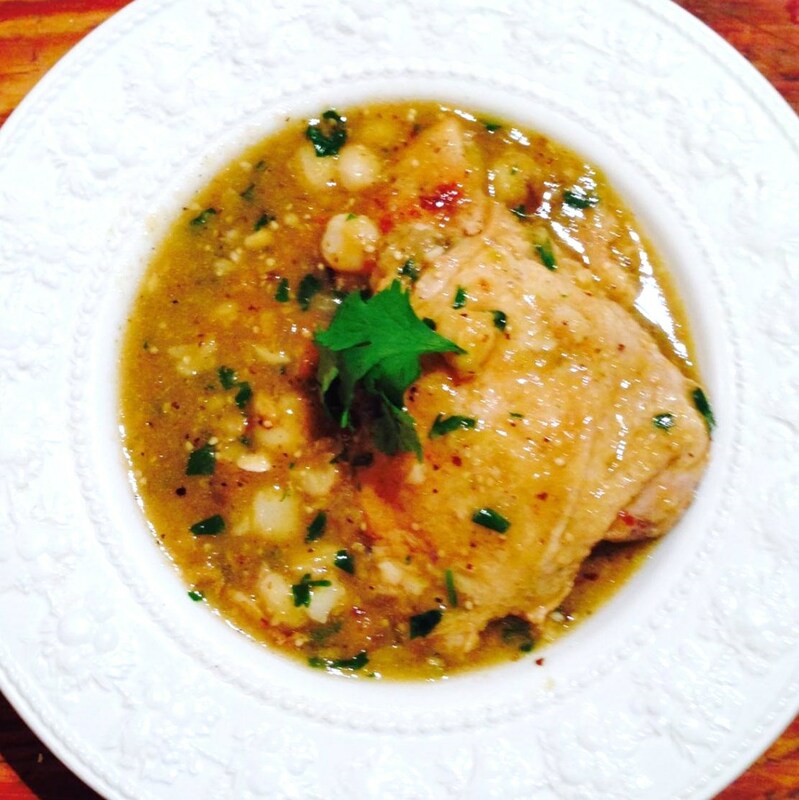 I can put meaning and appreciation back into the food that nourishes our bodies and souls. Whether its man animal or produce. We know our farmer and we are our farmer and that is the most empowering knowledge I have gained thus far in my life. The moment I received this cookbook I poured over it and nearly dog-eared every page. The immediate draw to it was, of course, the idea of one pot cooking, this translates into less clean up and that makes for a happy cook as I tend to also be the dishwasher, I know, I know, sounds completely off-balance, but I assure you, we all shoulder equal and full responsibilities in this house. With our days full of chores, homework, honey-do lists and work it is easy to fall into a rut of un-inspired dinners. 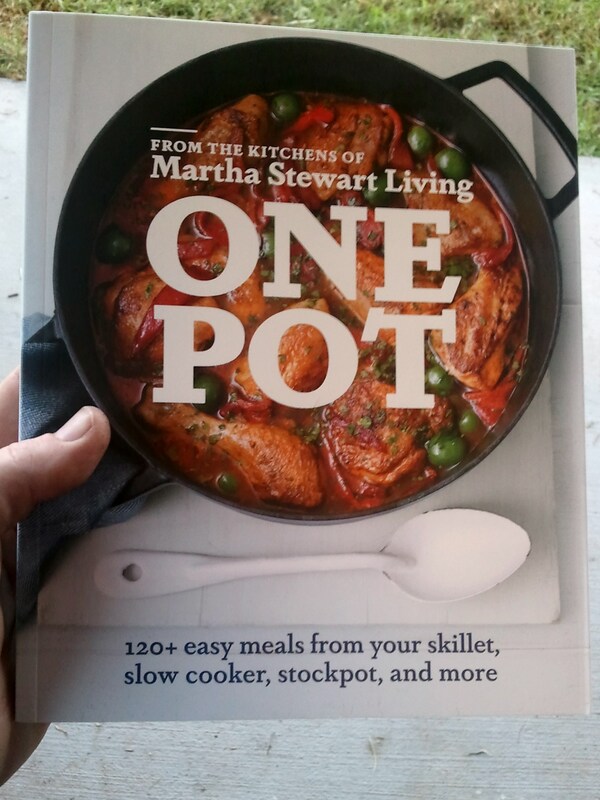 This One Pot cookbook is loaded with fresh ideas on some great classics that have readily available, easy to find ingredients. I immediately started incorporating the recipes into our menu. 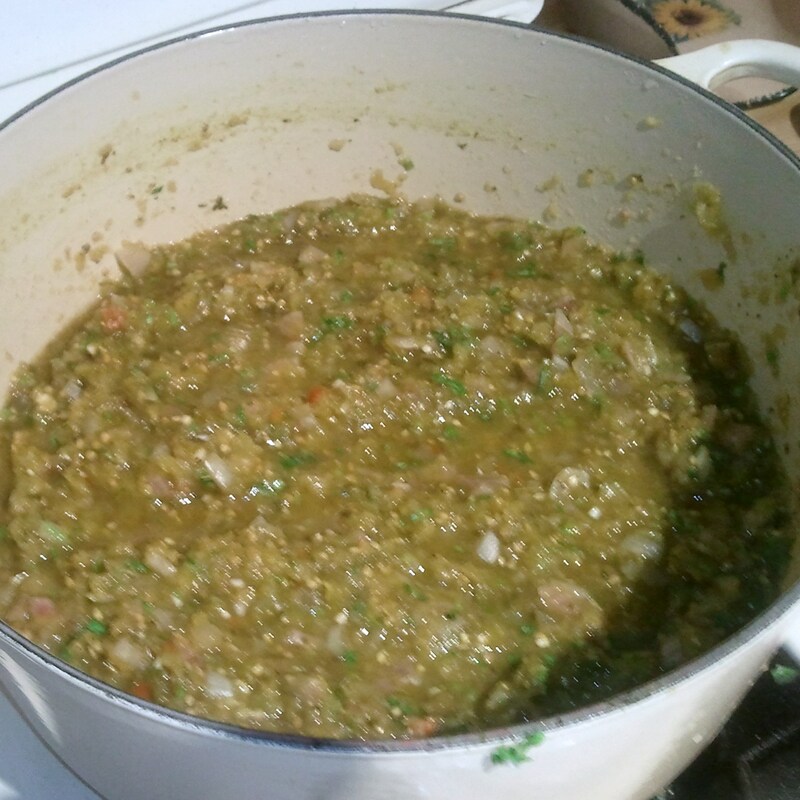 I started with the Chicken-Tomatillo Stew. This is a picture of my finished product, it turned out just as fancy as the image in the book. That is the other thing I love about this cookbook, full-page, full-color images with every recipe. Sunday I put Midge to work on dinner, she whipped up the Minestrone with a side salad and fresh sourdough bread. All of the recipes thus far have been delicious and easy to prepare with the steps clearly laid out. With basic ingredients and little effort we can put out top-notch dinners that will surely impress any guests. Perfectly timed with the cooling of the weather, I will no doubt be working my way cover to cover through this cookbook. It would make a perfect gift for that foodie in your life. There is just something about this time of year, the crisp mornings fragrant with fresh dew, taking longer to shake the cloak of night off as the sun lazily rises over the horizon. Sunrises and sunsets both aglow with the warm hues of Autumn. The evenings growing darker earlier, urging everyone inside just a bit earlier each night. This year, Autumn has new meaningful signals added as we prepare and plant our second fall garden, this time with more thought and planning in place. The beds have all been cleared, turned and refreshed with nutrient rich, organic garden soil. 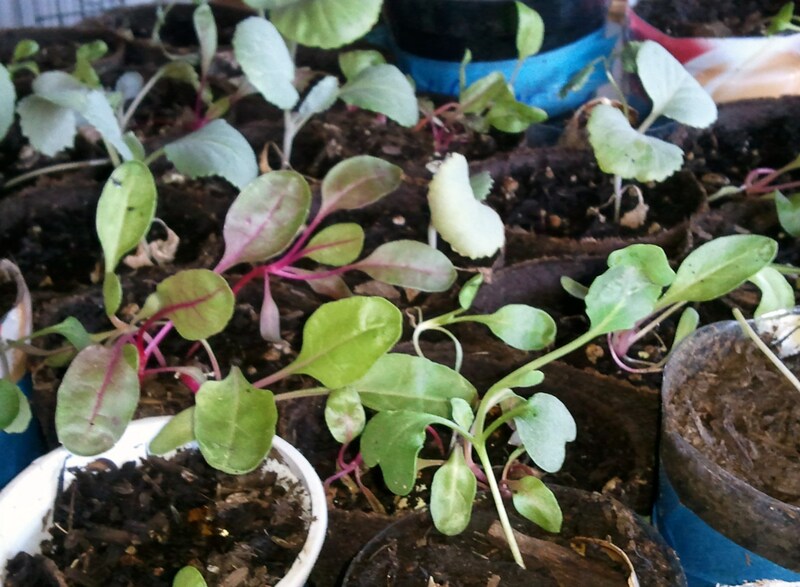 Our first solely heirloom planting of seeds and transplants have been nestled within this generous gift from a new farmer friend, soil that smells rich with the promise of bountiful harvests for the coming season. 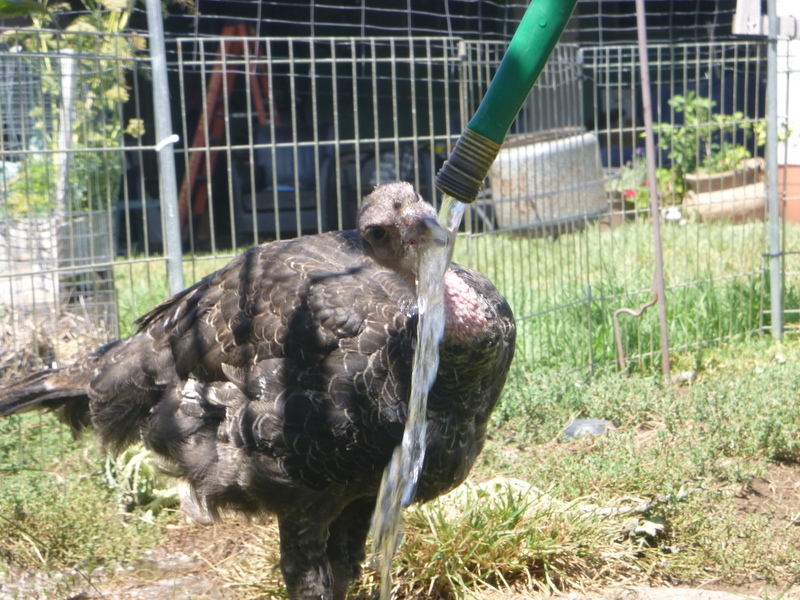 and watch as the turkeys continue to grow, mature and introduce us to their calm, and sometimes comical, character. this past weekend was just a taste of my favorite season as it continues to struggle to grab a foothold against summer and it’s blazing triple digit temperatures. A tug o’ war of sorts as we now bounce between the two seasons. One can only hope Fall will eventually out muscle the ever-increasing strength of Summer, pushing it back so we can enjoy more than a few weeks of this, my favorite season of the year. This weekend was absolutely filled to the brim with rewards. 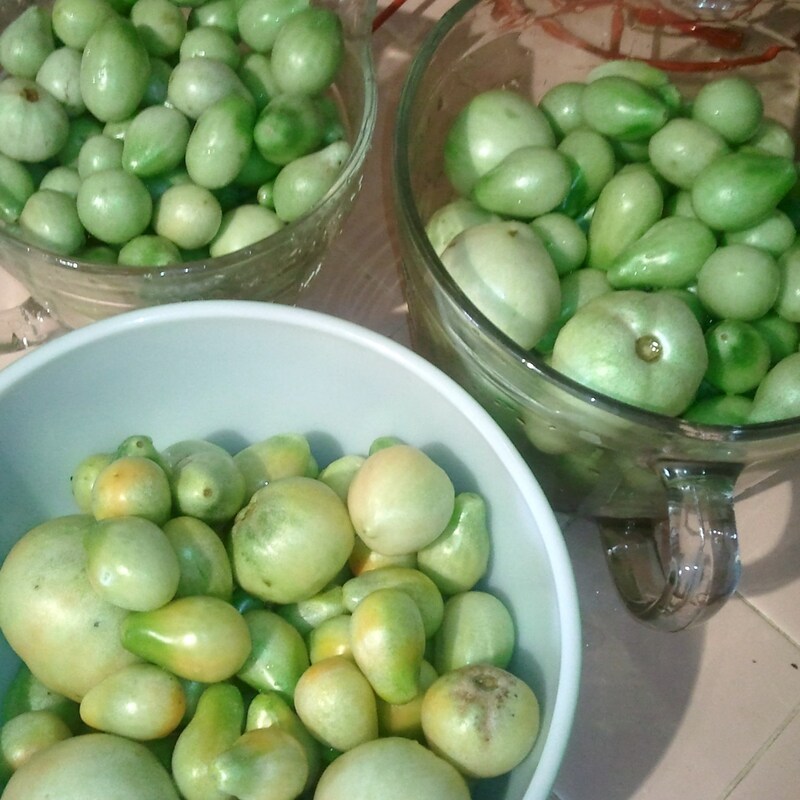 From tackling new canning recipes for the pounds and pounds of green tomatoes harvested last weekend as we prepared our garden beds for fall planting. To finally overcoming the (irrational) fear of the pressure canner. YES! I finally triumphed! Now let me explain, the first time we, Hubs and I, tried the pressure canner things just didn’t go as they should. It struggled to reach 11 pounds pressure, the pressure gauge steamed up so we could hardly read it. Then, just as it reached pressure it let out whistle so loud that, if we had crystal in the house it would have likely shattered. The dog hightailed it to the farthest point away, as we were left standing there with our fingers in our ears, trying to make sense of what was happening and wondering if it would ever stop. It only quit once we turned off the stove. So we hung up our pressure canning hats till a later date, removed the plugs and had since been using the canner solely as a water bath canner. If you follow me on Instagram or Facebook then you should know all to well the volume of pickles (tomato, cucumber, zucchini) that I have been putting up. Not a huge rise, but at least something that resembled what it actually was and not a weapon. That crust; thick and crunchy. The interior; chewy, tangy and fluffy. Oh it was so good we (truth, mostly me) nearly ate an entire loaf still hot from the oven. Still too small to make a decent sandwich but perfectly worthy of soft butter and soup soaking. 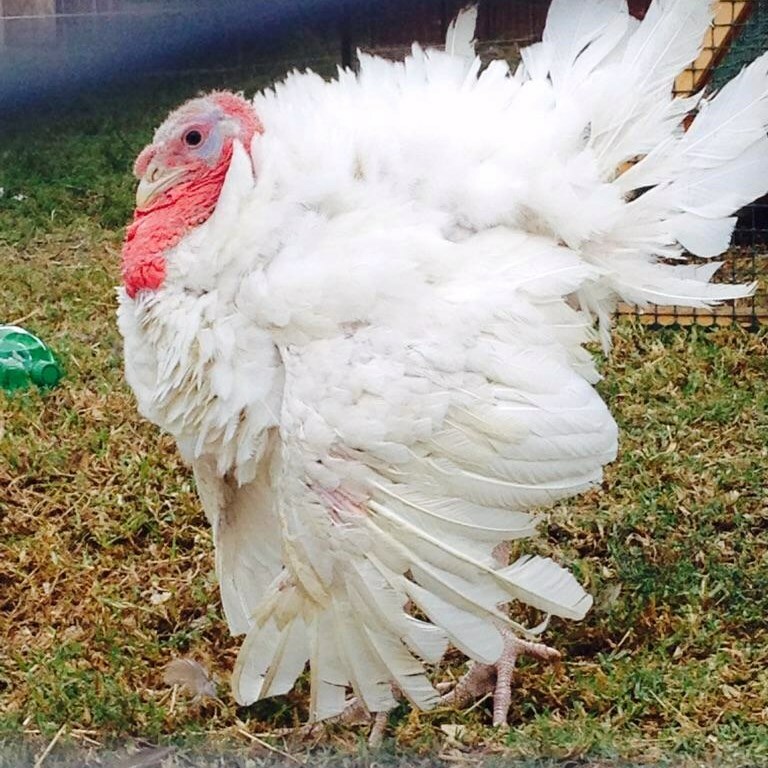 If all that weren’t enough, our Easter hatch girls have begun to Join the Layer’s Club! 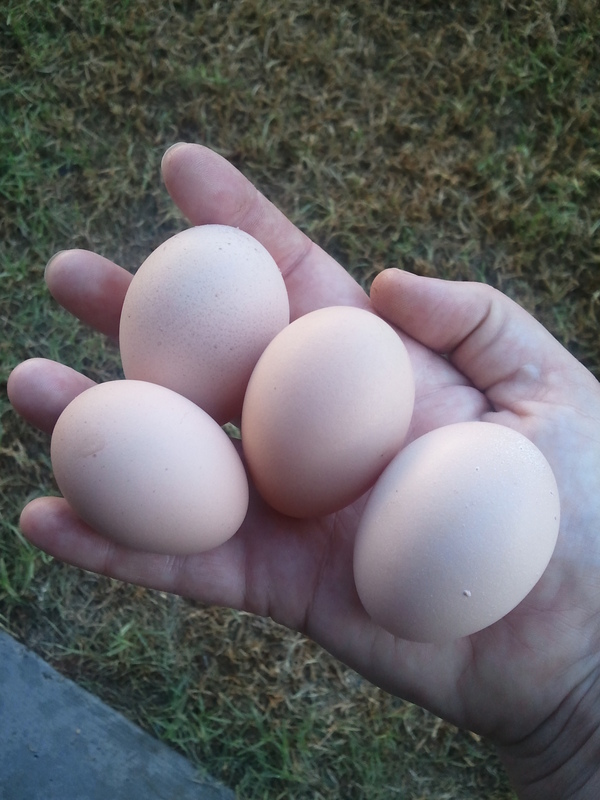 Bubble the Marans/Orpington mix started laying a week ago and has laid an egg everyday since. 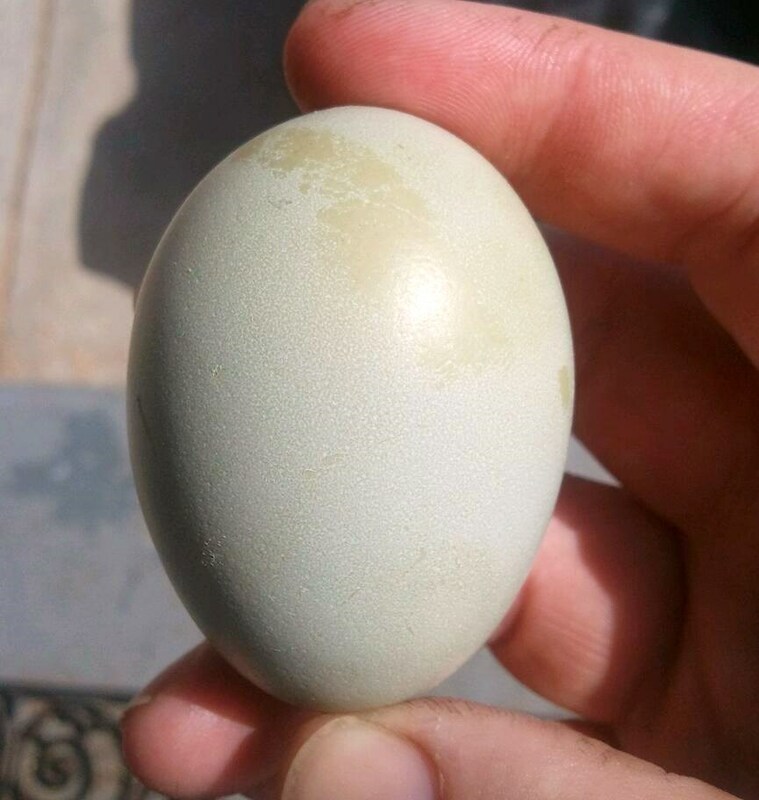 Sunday, the Olive Egger, BamBam joined the club with our first ever olive-green egg. We are stoked (too So Cal??) to finally have a new egg color in our basket and hope she lays as faithfully as Bubbles. Bunny, the other Marans/Orpington mix is acting like she will be rounding out the new layer’s membership sometime this week. 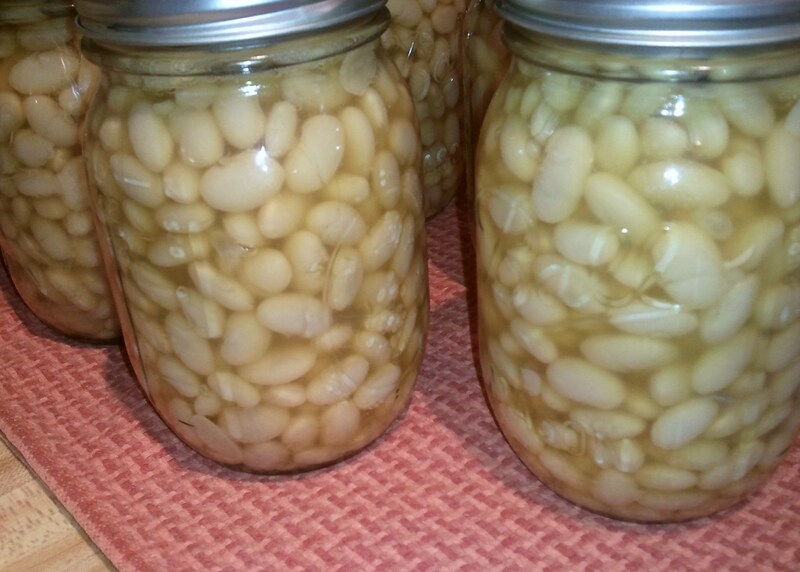 Pressure canning, delicious sourdough, olive colored eggs, all add up to a happy, happy homesteader.